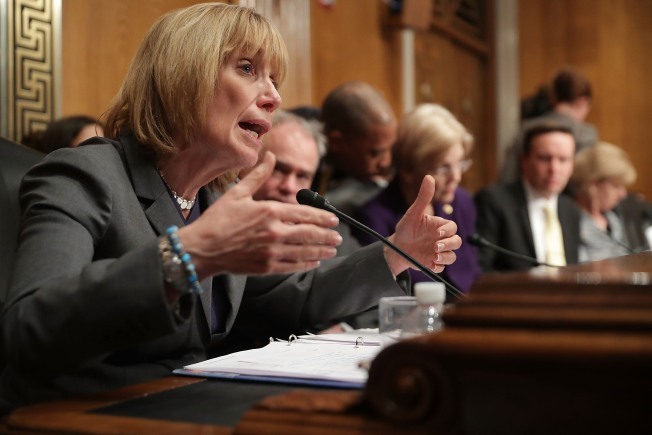 Democratic U.S. Sen. Maggie Hassan is getting back together with her old gubernatorial colleagues. Hassan, who served as New Hampshire's governor for two terms, is teaming up with Republican Sen. Lamar Alexander, a former governor of Tennessee, and governors for a Monday press conference. Democratic Gov. Terry McAuliffe of Virginia and Republican Gov. Brian Sandoval of Nevada will be in attendance, as will other governors. The nation's governors were in Washington this weekend for a gathering of the National Governors Association. Hassan's office hasn't said what the topic of the press conference will be. It's slated for noon Monday.